These custom-crafted, hand-cast aluminum patio, dining, and accessory tables add elegance to any outdoor setting. Pair with a Basta Sole® Patio Umbrella for an aluminum patio furniture solution that is both gracious and highly functional. 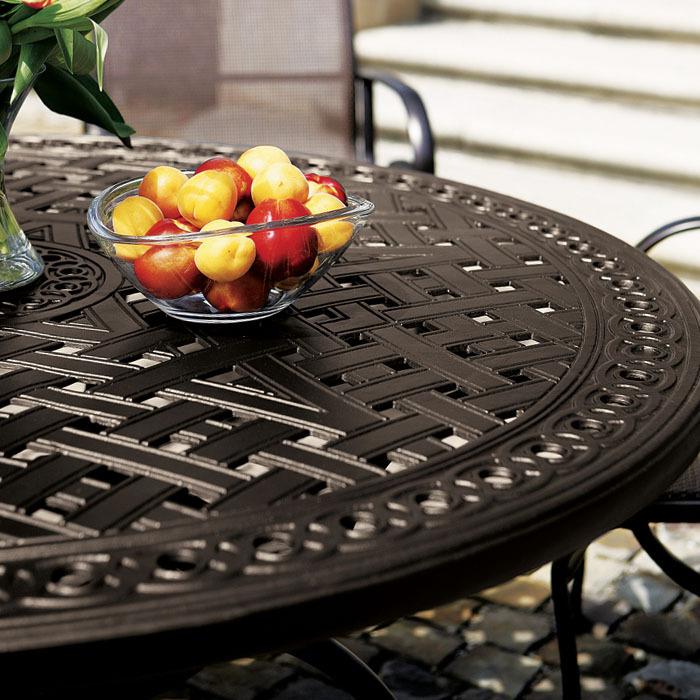 Come discover why Tropitone® Cast Aluminum Patio Tables, Dining Tables and Accessory Tables are the best-looking, toughest tables around.